Galvanized inlays. Antique finishes. Strong, structural lines. 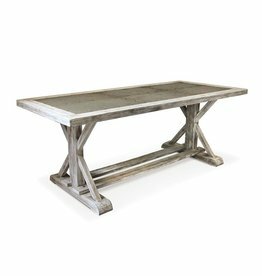 Not your grandma's farmhouse table. Introducing Elle, the quintessential centerpiece for the modern, casual space.